Discover Viking-inspired gin this summer! Celebrate Bloom! 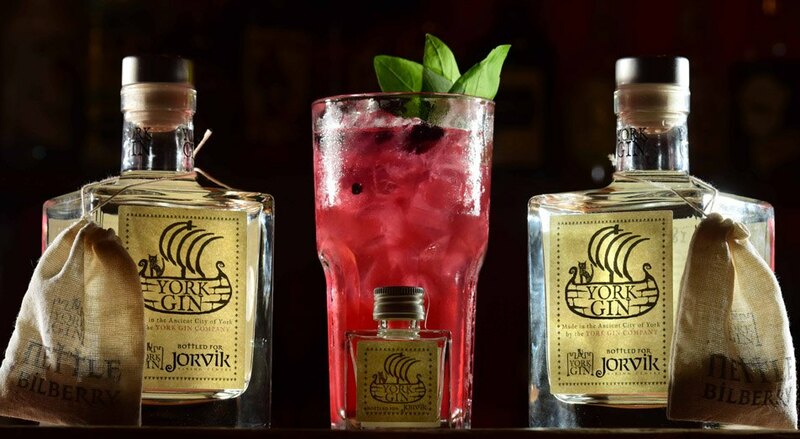 in York this summer with our Viking-inspired gin, JORVIK Botanicals, in partnership with York Gin. Using flavours familiar to the Vikings, including Bilberries; a fruit grown in the moorland around the city with a sharp, bitter taste, which complements the slightly peppery flavour of nettles, another ubiquitous plant during the Viking period. You can purchase JORVIK Botanicals gift packs, which include both intriguing Norse-themed flavours, exclusively at the JORVIK Viking Centre Gift Shop £8.50 for 5cl, £35 for 50cl. Rediscover Viking-age flavours with a modern twist this summer! As well as sampling the drink neat, with the infusions included, you can also try a Viking-inspired cocktail, developed in partnership with Evil Eye, York, the Guiness world-record holder for stocking over 1,000 varieties of gin, which will be available throughout the month of July. Shake the drink energetically and fine strain into a tall glass. Add ice cube and crushed ice on top. Please drink responsibly, for further information please visit drinkaware.co.uk.